She also has an Instagram profile and a Facebook page. Disclaimer: The photos/screenshots were taken/made by the review’s author. Swanicoco started his business creating naturally fermented soaps. To produce excellent natural soaps, carefully select the best medicinal herbs, boil them and then ferment them. Swanicoco doesn’t use ingredients that are harmful to the skin, such as dyes, artificial fragrances, chemical preservatives, steroids, alcohol, mineral oil, parabens and benzophenones. Instead, they try their best to use only natural and fermented extracts, they have engaged in relentless research to make sure that the natural components don’t conflict with each other when combined. They have obtained the optimal mixing method. Thanks to their efforts to create natural cosmetics that are safe, hypoallergenic, soft and ideal for all skin types, they have managed to integrate biotechnology into natural organic ingredients so that their cosmetics have the maximum effect of improving the skin. As our skin ages, we lose elasticity, which leads to naturally wider pores. Larger pores allow more sebum secretion, creating oily skin and other complexion problems. So, Swanicoco created the Serum to Tighten the Pores! 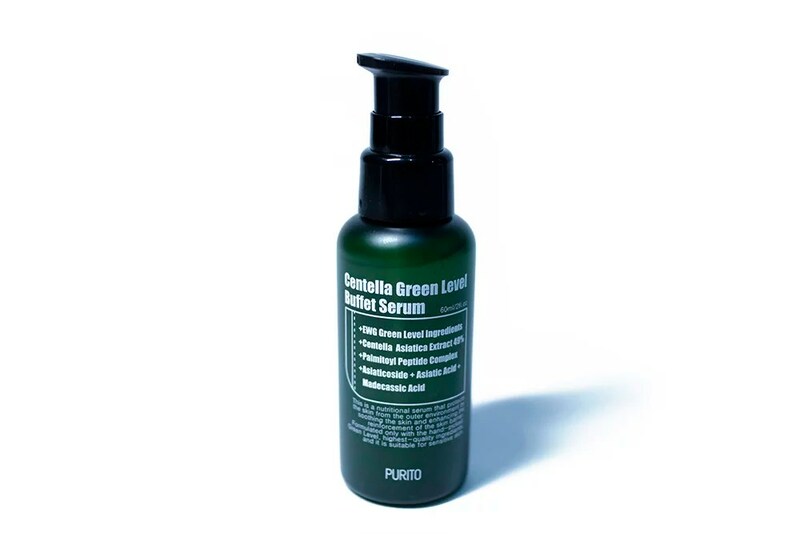 This serum contains a patented ingredient called Evermat, which reduces by size and regulates the production of sebum. It also helps you maintain a clear and bright skin tone through deep cleansing. 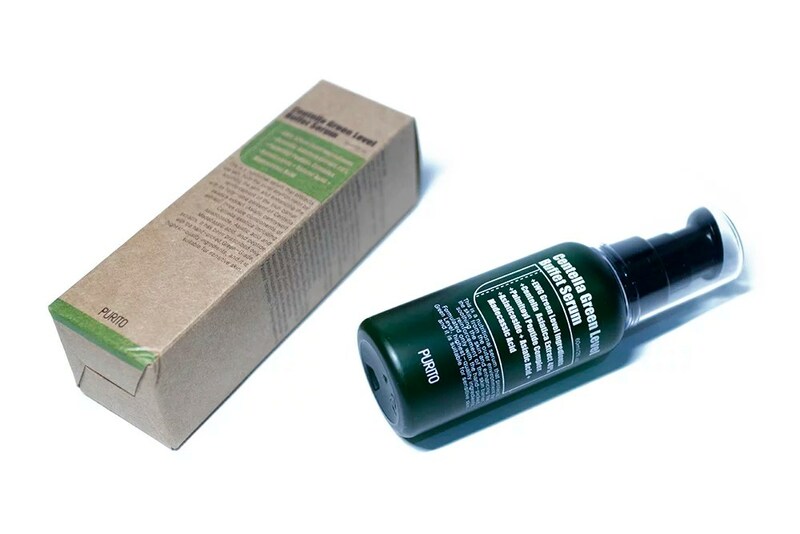 As an added benefit, other ingredients found in this serum help promote skin elasticity! The serum arrives in a white box with silver letters and brand logos. 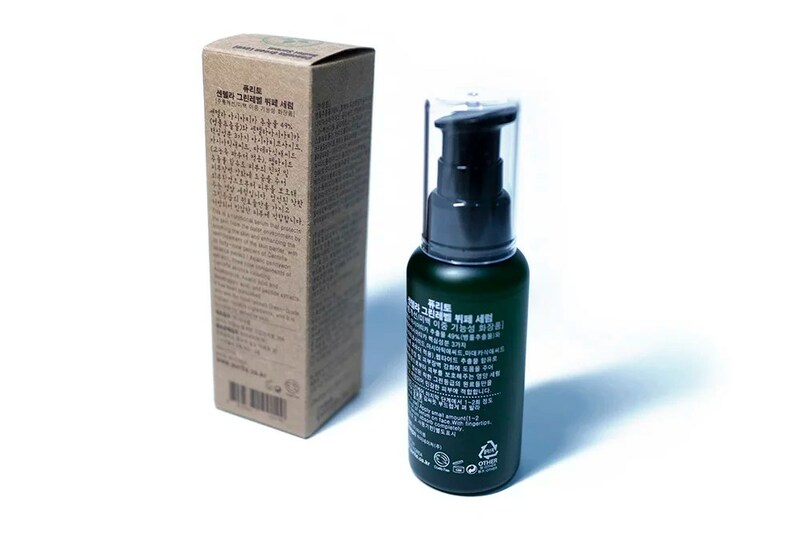 Around the box you can find product information in English and Hangul. On the inside, the box is countermarked with the logo of the brand. The serum is packaged in a silver-colored bottle, with grey letters and the logo of the brand. Around you can find product information. It contains 30 ml. It has a practical pump that is pressed down to get the necessary amount. Apparently they have changed the design of the packaging, I’m not sure if they made any reformulation in the ingredients too, because all the information on their page is written in hangul. I was reviewing the list of ingredients in CoSDNA and it looks pretty clean, most of them are safe, not irritating and don’t cause acne. I leave the links to the pages of ingredient analysis above, in case you want to read it, I tried to add the product in Skincarisma but the page is not working, when they fix it I will add it and update the post. [UPDATE] Skincarisma’s page is already working and he let me add the ingredients of the product, I leave the direct link above. 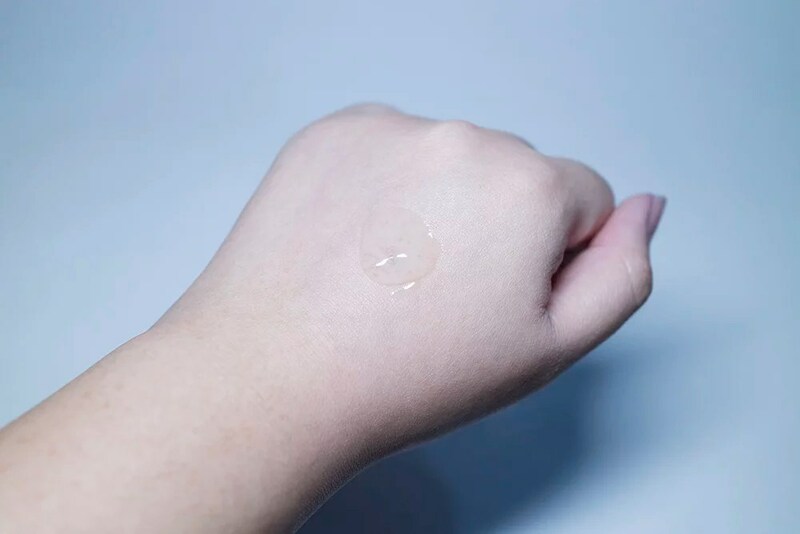 Water, glycerin, dipropylene glycol, butylene glycol, methyl methacrylate crosspolymer, 1,2-hexanediol, enantia chlorantha bark extract, oleanolic acid, allantoin, betaine, sodium hyaluronate, carbomer, xanthan gum, arginine, anthemis nobilis flower extract, lavandula angustifolia (lavender) extract, portulaca oleracea extract, centella asiatica extract, punica granatum fruit extract, and cymbopogon schoenanthus oil. Its texture is light and absorbs quickly, doesn’t leave a sticky feeling. It has a white tone, similar to milk. When I read about the brand for the first time I was very intrigued, I was struck by the fact they worked with natural and fermented ingredients, so when they proposed to review some of their products I thought it was the opportunity to try them. 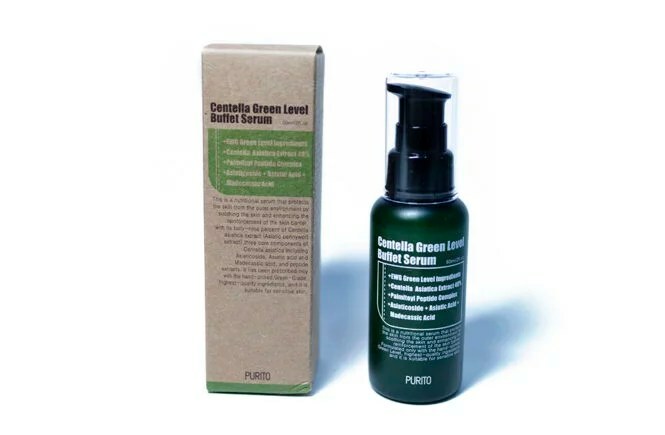 This is a serum with a light texture, which is absorbed quickly and allows you to follow the steps of your routine, the problem is that I didn’t see the results they promise, it’s supposed to decrease sebum production and fill it, but being honest I couldn’t notice any of the above. I have some long pores on the sides of my nose and I noticed that it soften the area and fill a little, but it’s a momentary effect and I think to be a product that costs around $30 usd should do much more. Apart from the disappointment with this product, I can tell you that I tried a duo of toner and emulsion of the brand and those are very good (I think the best, of all that I could try of them), just finish writing the review, I will share it with you. * Free of parabens, silicones, synthetic dyes, synthetic fragrances, mineral oils. * It doesn’t leave lasting effects. * Doesn’t minimize or improve the appearance of pores. Have you heard of the brand? Disclaimer: All the reviews on the blog are 100% honest opinions. This post is sponsored but doesn’t contain a referral code.